Earlier this month, we reported on a correction by Luk van Parijs, the biologist the Massachusetts Institute of Technology (MIT) fired in 2005 after he admitted to making up data. The authors have agreed to retract the paper because of the falsification of the Western blot in Figure 6A. The figure shows a defect in Ras activation, labeled as RasGTP, following TCR engagement, in thymocytes isolated from a RasGRP1 lag mutant mouse strain. This data set is one of several that show signaling and functional deficiencies identified for cells with lost of function of RasGRP. The authors stand by the validity of the other figures, results, and interpretation in this paper. This matter was investigated by the Massachusetts Institute of Technology and the Office of Research Integrity at the United States Department of Health & Human Services, which found that the figure was falsified by Luk Van Parijs, who is solely responsible. The authors deeply regret any inconvenience resulting from the publication of this data. 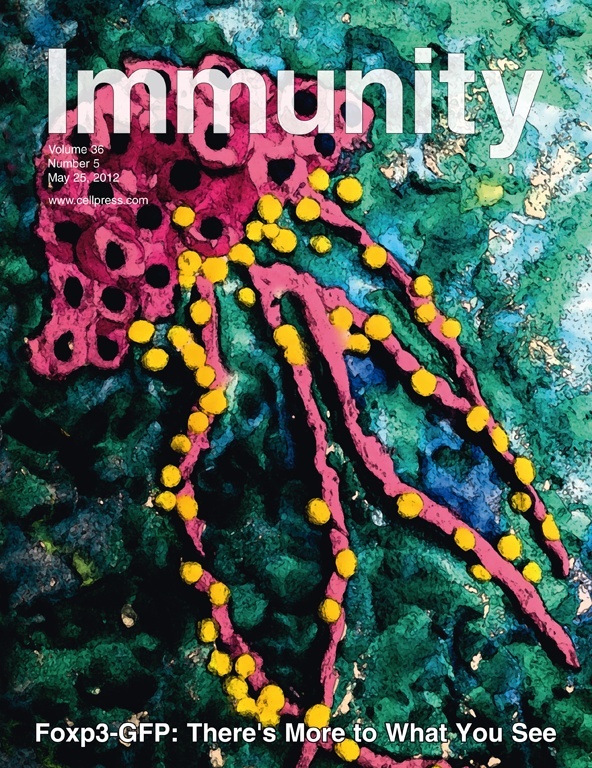 While at MIT, Dr. Luk Van Parijs falsified figures in grant applications submitted to the National Institutes of Health (NIH), a presentation in 2003, and Figure 6A, Immunity 19:243-255 (2003), by falsely claiming that the image in the figure represented an immunoprecipitation assay for Ras-GTP and a Western blot for total Ras protein, when it actually represented a Western blot for Bcl-2 and [beta]-actin in T cells, previously published as Figure 5C, J. Immunol., 168:597-603 (2002). It’s not clear why the retraction is just appearing now, nor why it took more than three years for the authors to agree to withdraw the paper. We’ve asked the corresponding author for comment, and will update with anything we find out. By our count, it’s the fifth retraction for van Parijs, who was sentenced last year to six months of house arrest. Last time I checked there was still one of his papers in J Exp Med that had an obviously doctored figure in it that still had not been retracted. My group was one of the first to cast doubts about van Parijs (to J Exp Med) 15 years ago. They did nothing at the time and it took several more years for his extensive fraud to be revealed. It is sad that this kind of behavior is increasing. However, this is only the tip of the iceberg. It has been notified that von Parijs manipulated flow cytometry cytograms and even mislabeled the isotypye control in an article published a number of years ago in The Journal of Experimental Medicine, a high impact journal. So, part of the blame rests on the Journal itself and specifically the editor(s) who handled the paper and the reviewers for not thoroughly reviewing the articles. It is unfortunate that the co-authors of von Parijs have to “rebuild” their career. Remember, a paper is the joint effort of all named as coauthors. Generally, in big labs, even though coauthors may notice a discrepancy, it is usually not discussed because of the misbehaving person is in a powerful position in the lab. Co-authors should not be afraid to ask reasonable questions prior to submission of the paper. The head of the labs should encourage this attitude even though some might think it is annoying. I would also strongly recommend that all journals should ask all authors to declare that all authors agree with the content and submission of the paper during the submission process and assure the integrity of the data. It is surprising that these misconducts are discovered suddenly after many years, suggesting the role of other motives. I do not know how the citing of these faltered papers by others can be rectified. More openness in presenting the data for publication among the coauthors will minimize the agony for all coauthors later and embarrassment for the head of the labs. It is not clear how much impact that these scandals have on the senior authors who use data generated by these individuals to secure NIH grants in addition to publishing in high impact journals. Seems to me that pleading mercy by senior authors for this individual who knowingly committed fraud is not a complement to the scientific community. Bear in mind that scientific misconduct is a serious crime since the perpetrators secure NIH grants (tax payers’ dollars) and commit mail fraud. The senior authors should do more than retracting the papers.